Do you love sushi? Are you bored of avocado and cucumber rolls? 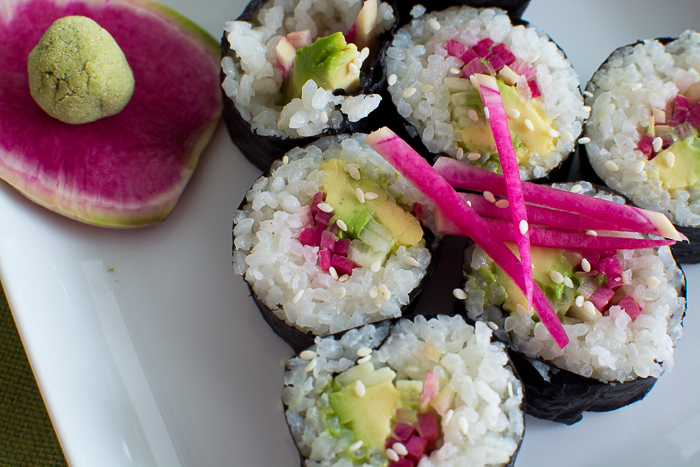 Make this super vibrant watermelon radish maki roll! !